I love wine. You know what I love even more, using wine as an ingredient. Whether it is poaching pears or making boozy popsicles, it is quite a versatile ingredient. That said, you don’t want to blow an expensive bottle of wine on something like sangria where the nuances are going to be lost. For that reason, I really enjoy the Top Ten Wines from Whole Foods. The selection is good, the wines have a lot of flavor for the price and well…it’s pretty accessible since it is Whole Foods. That said, you can use any Riesling for this recipe. You just need one that is balanced, with notes of lemon zest and melon. 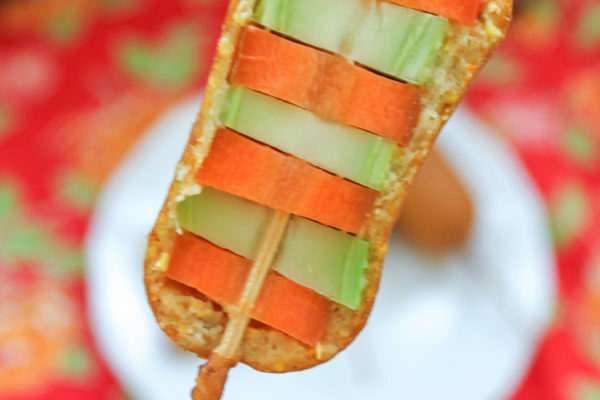 Oh, and you don’t want one that is overly sweet since the final product is going to be a bit savory. Combine the 1 1/2 cup of water and sugar into a small sauce pan along with the 2 tablespoons of pink peppercorns. Warm it over a medium-high heat. 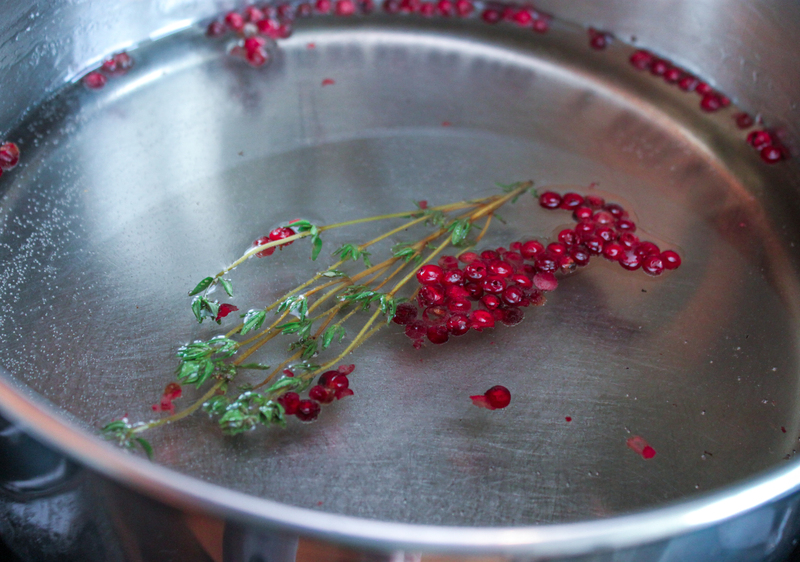 When it is just about to boil, add in the 10 sprigs of fresh thyme, cover it, and remove it from the stove. Allow it to steep for about 5 minutes. 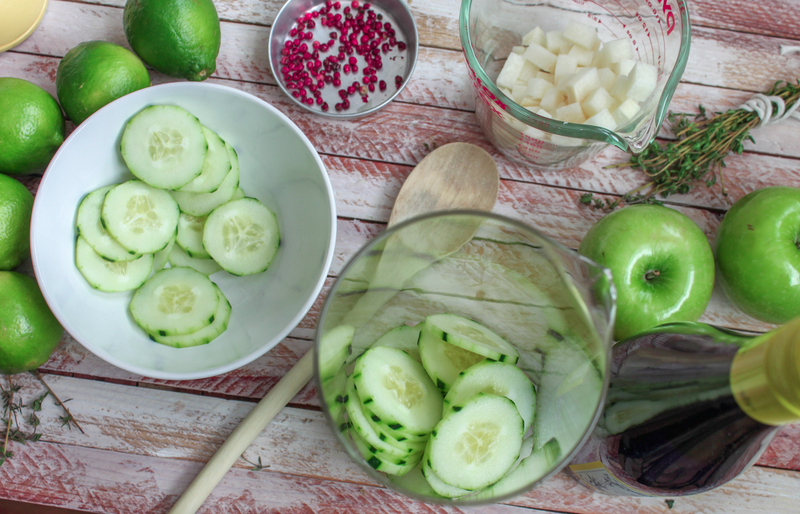 While the simple syrup is cooling down and infusing with those beautiful peppercorns and thyme, lets get to chopping our jicama and cucumber. 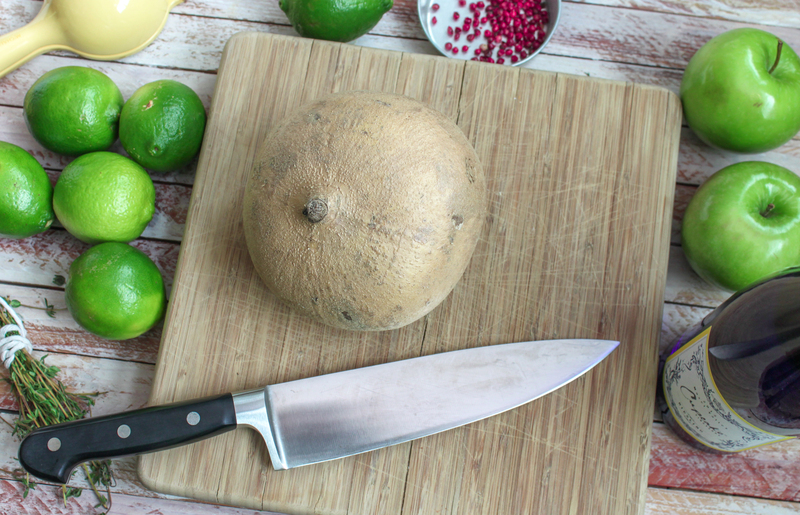 You'll need to peel the jicama and the cucumber, cubing and slicing respectively. 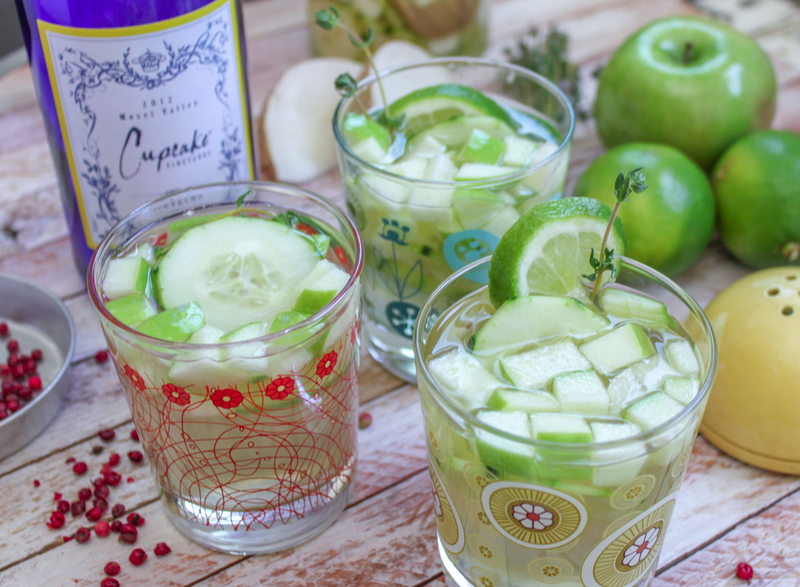 Add the jicama and cucumber to your sangria pitcher along with enough of the Cupcake Riesling to cover. Let this sit while you go and cube the Granny Smith apple. I do it in this order so the apple does not oxidize. 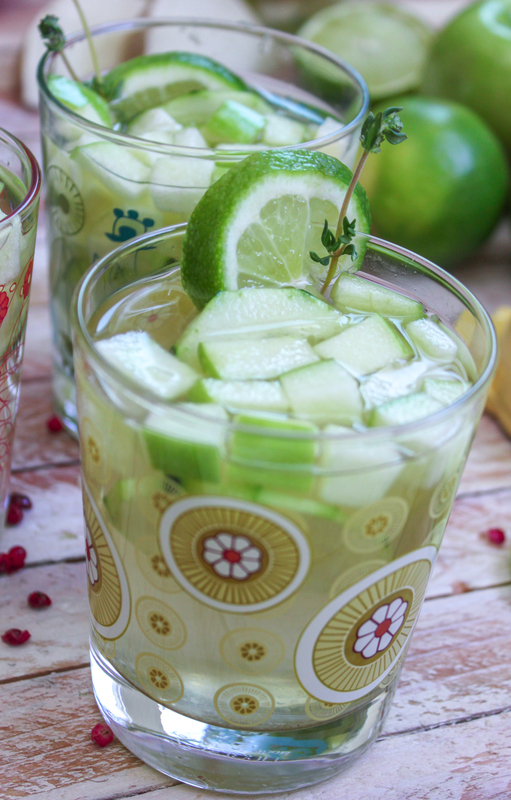 We do not want brown apples in our sangria! Now add the cubed apple to the pitcher along with a half of lime, juiced and the 2 cups of simple syrup, straining out the peppercorns and thyme. 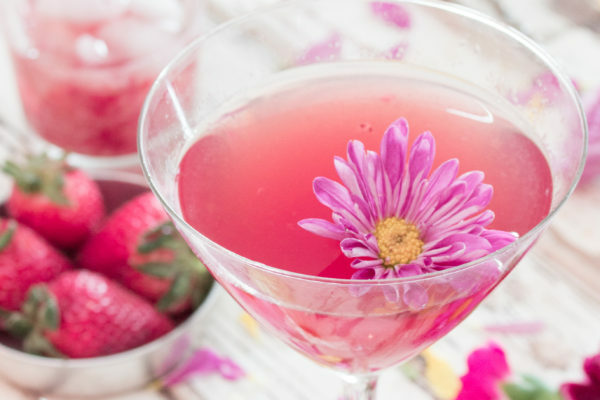 Chill the mixture in the fridge for about an hour and then serve it over ice.